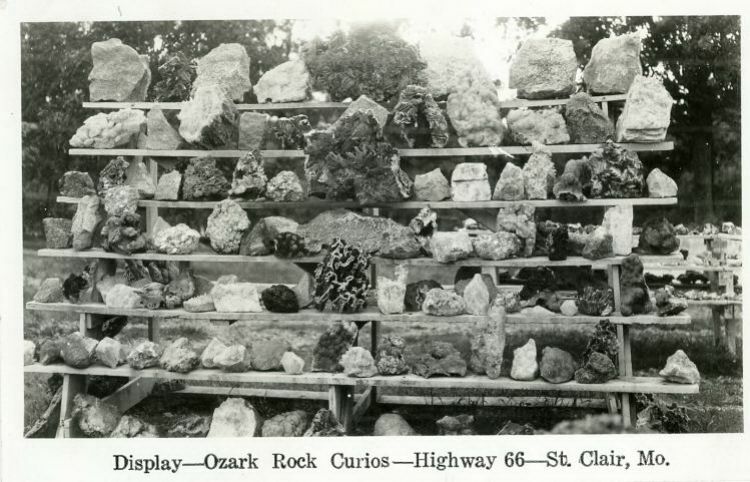 This view shows one of the displays at Ozark Rock Curios. At one time, there were ten stands, the first starting off with rocks selling for ten cents. As tourist moved down the line, the prices got higher. The last one held stones that could cost hundreds of dollars. Paul mined stalactites from smaller caves to sell to Meramec Caverns.